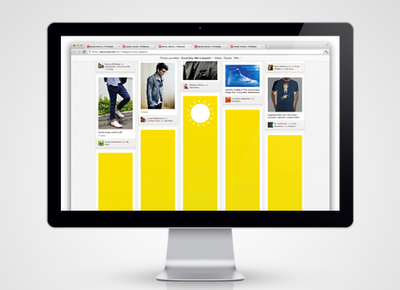 A reported 13 million registered users makes Pinterest one of the fastest growing social media websites on the internet. To get noticed, Japanese clothing brand UNIQLO recently hijacked the site to increase awareness of their Dry Mesh Tshirts. 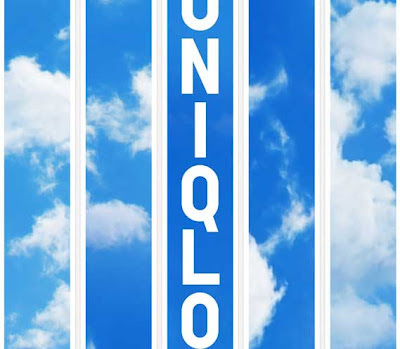 Part of the new UNIQLO Innovation Project (UIP), the idea to create the first ever branded mosaics was conceived and executed by New York digital agency Firstborn. 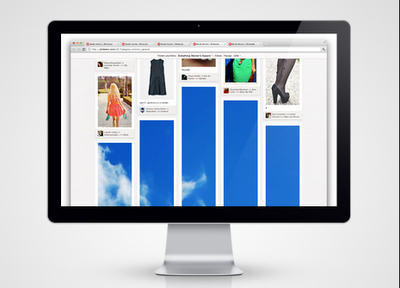 As users scrolled through Pinterest public feeds, giant blocks of images appeared. Together, the image blocks worked to create the impossible to miss branded mosaics. As users continued to scroll down, the branded images seem to animate. If your a Pinterest user you're probably wondering how they did it. If you're not wondering, you're probably a guy. At any rate, to reach consumers, the campaign targeted five categories: Men's Apparel, Women's Apparel, Geek, Fitness and Sports. To evade Pinterest's detection algorithms, Firstborn set up over 100 shell accounts ahead of the launch. A group of Firstborn employees simultaneously pinned pre-selected images to successfully free users from the monotony of Pinterest scrolling. Pretty damn cool.